The Governor of Guam, Lou Leon Guerrero, has signed the recently passed “gambling” bill into law. Bill 29-35, which main sponsor is Senator James Moylan, allows the Mayors’ Council of Guam to draft provisions and regulations, which are to be presented to the local Legislature’s approval and review. The provisions of the new law would make sure that gambling provided through the games of chance will be permitted at the Liberation Day festivities only during carnival hours and until 2:00 AM on Fridays and Saturdays. In order for the bill’s provisions to be brought into action, the Mayors will have to propose rules regarding the games of chance and submit them to the Legislature of Guam within 60 days for review and approval. As previously reported by the CasinoGamesPro, Bill 29-35 which has now been signed into law was intended to allow gambling during the Liberation Day Carnival as a source for funding of the festivities, because the Mayors’ Council was trying to avoid making money withdrawals from the General Fund. The proceeds from the games of chance are set to be used to pay for the Carnival, the Liberation Day Parade, as well as for most of the activities are to be hosted by the Mayors’ Council. As explained by the executive director of the Mayors’ Council, Angel Sablan, draft rules and provisions for the games of chance could be ready by Friday, April 5th. It is yet to be seen whether there will be enough time for them to create a thorough set of rules in order to make sure that gambling is properly regulated during annual celebrations. 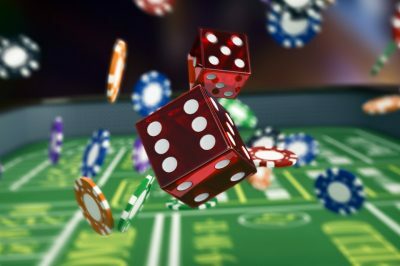 For the time being, it seems more likely for the Mayors to roll out more generic guidelines regarding carnival gambling without any strict rules or regulations. However, the opponents of the bill and the games of chance believe that stricter regulation is necessary to make sure that gambling allowed during the celebrations would not go any further than that, and that the Government would be able to properly enforce the necessary standards in order to make sure that local residents will be well protected from any negative consequences. Governor Lou Leon Guerrero reminded that Liberation Day is the most celebrated annual event on the island and further shared that the traditional funding source for all activities hosted by the Mayors’ Council were exactly games of chance. 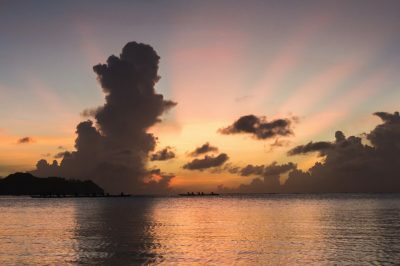 The Governor of Guam also revealed that she has turned to the island’s Department of Revenue and Taxation to cooperate with Mayors in the process of rules and regulations’ drafting and provision. Ms. Guerrero also shared her hopes that the Legislature will take action in order to make sure that the 75th Anniversary of the Liberation Day is properly organized.